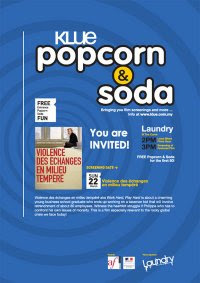 SPECTREOUTREACH.com: Free popcorn,soda and Movies! 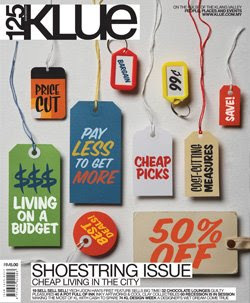 Just pick out the recent KLUE magazine at MPH to learn one or few dozen method to live on shoestring budget. Not bad deal for less than RM 5 , where I can join many contest, update myself with latest event in KL/PJ and plus freebies such as the "KLUE Popcorn and Soda" that's going to be held this weekend . Note : Free popcorn and soda for the 1st 50 early birds so come early guys if you are airborning nearby the CURVE. Since I kinda in shoestring "mode "this week, I might as well head there. The Earthhour blog event is out , wanna join? http://alvinon9.com/2009/03/earth-hour-blog-version , SPREAD this to as many peeps as you can,thanks!